Metal Gear Solid 5 to be a next-gen console title? 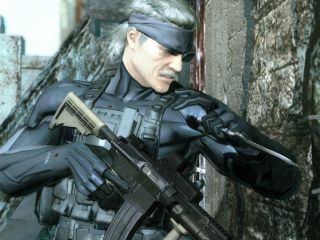 A new job listing has appeared for a yet announced Metal Gear Solid sequel - most likely to be Metal Gear Solid 5 - which hints that the next game in the franchise is being made for next-gen consoles. The listing on Konami Japan's website is short but packed with speculative information which has lead many to believe that Kojima Productions is looking for new employees to work on a title for the PS4 and the Xbox 720 - as well as for PC gamers. "Kojima Productions will be returning to the GDC Career Pavilion (March 6-9) to search for skillful engineers, artists, and game creators including: Project engineers for the latest Metal Gear Solid targeted for high-end consoles and PC, engineers to help develop next-gen game engine technology for use with the FOX Engine," reads the job spec. Although no specific platforms are mentioned it does seem a little strange that the job doesn't say PS3 or Xbox 360, rather going with the term "high-end consoles". And given that the posting suggests that any game being made is in its initial stages, it looks as if MSG5 won't be around for a good few years, which would mean there's plenty of time for Sony and Microsoft to get their new consoles out. As for the Fox Engine, this was revealed back in June 2011 and is based on new technology which allows devs to create games for myriad platforms quicker and easier.